What is an "Arts Law Attorney"? The art world has become increasingly complex, and there appears to be a growing demand for qualified art law professionals. Complex issues such as stolen art, art authentication, artists’ rights, illicit antiquities, estate planning for artists, and the distribution of art in the digital age, have created opportunities for attorneys interested in advising artists, collectors, auction houses and galleries, private foundations, and museums. The diverse nature of the field requires art lawyers to have a wide range of legal expertise to represent their clients effectively and a command of the treaties, statutes, and common law that apply specifically to artists, collectors, and the art market. An art law attorney must have the skills of a generalist and the knowledge of a specialist. Although many consider intellectual property law as the core of an art law practice, representing artists, dealers, and collectors brings an art lawyer into multiple areas of the law including contracts, torts, estate planning as well as property, tax, real estate, and nonprofit organizations law. Art law cases often involve questions of public and private international law and may present Constitutional issues such as free speech and censorship. Today, art lawyers work in law firms, museums, auction houses, and financial institutions. Works of art are bought and sold, implicating issues of good title and authenticity; loaned from museums to galleries and other museums, implicating insurance and contract matters; travel internationally for both commercial and private purposes, implicating international treaties and customs laws and regulations; and are often important assets in decedents’ estates, implicating tax and estate planning concerns. An art lawyer must be able to navigate this complex terrain of legal concepts and practical strategies. Why the Arts Law track within the Entertainment, Arts and Sports Law LL.M.? This specialization provides U.S. and international attorneys and law students superior training and an edge when breaking into this competitive industry. All courses are taught by prominent practicing attorneys and the blended nature of the LL.M. enables students to maximize their studies and create a curriculum particular to their goals. 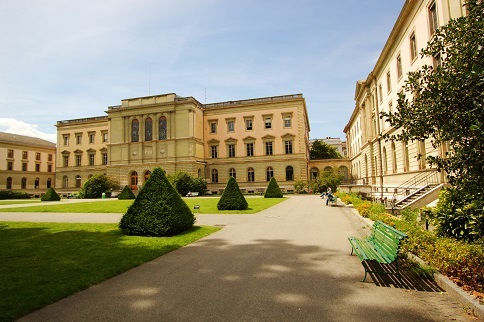 University of Geneva, Switzerland – Miami Law offers a summer course in the area of International Cultural Heritage Law in cooperation with the Art-Law Centre of The University of Geneva. The Aspen Institute – Artist-Endowed Foundations Initiative/AEFI – Miami Law and AEFI host the annual Hoffman Forum bringing together senior leaders of artist-endowed foundations to exchange ideas and learn about issues and innovations in policy and practice influencing their organizations individually and the field as a whole. In the past it has been hosted at prominent venues and foundations including: New York’s Museum of Modern Art, The Morgan Library and Museum, The Richard Avedon Foundation, The Helen Frankenthaler Foundation, The Roy Lichtenstein Foundation and more. AEFI’s Director, teaches a short course in the Arts Law track. LegalLink - In 2003, EASL Advisory Board Member Carolina Jayaram, then a UM Law School student, co-founded LegalLink which is dedicated to providing legal services to arts organizations and local artists. LegalLink matches attorneys who can assist artists with legal issues. EASL students can work with LegalLink assiting on matters not just realted to art, but also to estate planning, family law, immigration, contracts, business law, real estate, taxes, copyright, trademark, and more. The Law School has hosted LegalLink on its premises since September 2016; and in November 2017, Locust Projects added LegalLink to its programmatic offerings for artists living and working in South Florida. 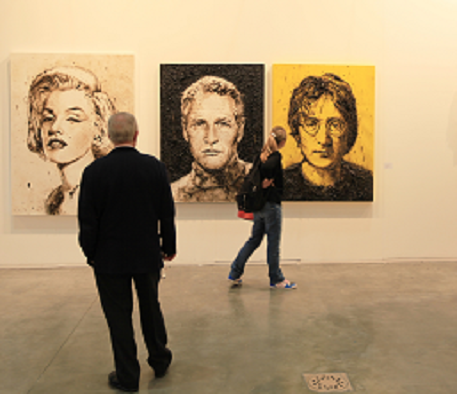 Miami is a haven for art lovers and a major center in today’s art world. 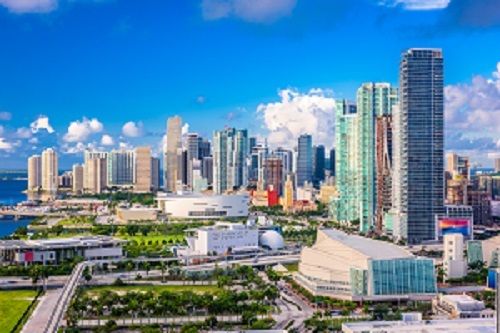 It boasts a thriving international arts community and everything from small galleries to major art fairs such as Art Basel Miami, internationally recognized as the most important annual market for modern and contemporary art. It has world class museums and a remarkable group of private collections open to the public. The community of artists is supported by organizations such as ArtCenter South Florida (whose president and chief executive officer, Dennis Scholl, is an alumnus of Miami Law). The University of Miami is home to the Lowe Art Museum and the Beaux Art Festival, Miami's oldest juried fine arts festival. The proximity of these venues is ideal for training and enables students to have site visits with gallerists, museum professionals, lawyers practicing in the field, and provides Arts track students multiple opportunities to complete their practicum requirement. The library at University of Miami School of Law created the International Cultural Heritage Law Index - the first online, fully-abstracted bibliographic resource for the field of cultural heritage law and policy. International students have the option to do a special course of study in the LL.M. in Entertainment, Arts, and Sports Law to accumulate enough credits to comply with the State Board of Law Examiners’ requirements to qualify to sit for the New York Bar Exam. These students still complete the LL.M. in the same two-semester period and earn the same degree. If an international student does not want to take the N.Y. bar (or wants to take additional courses) he or she can use the additional courses for study of EASL electives of their choice. * This course complies with the State Board of Law Examiners’ requirements to qualify to sit for the New York Bar Exam. ^The requirement to enroll in Business Associations may be waived with the prior approval of the Director of the Program. 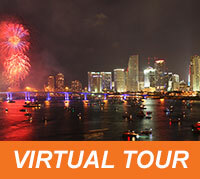 See more information for foreign lawyers on taking a U.S. Bar Exam. See more information for international students interested in the EASL LL.M. Art Law - Examines the interaction of law and the visual arts within the U.S. legal system. Topics include artists' rights in their works; the art market, with an emphasis on problems of authenticity and good title; the fate of art in times of armed conflict; and art museums. Negotiation and Drafting in Art – Introduces students to advising clients, and reading, drafting and negotiating contracts with application to arts law transactions. Copyright Law - Addresses legal protection provided under the Copyright Act of 1976 (and subsequent amendments) for artistic, architectural, musical, and literary works. Trademark Law - Introduces legal protection under U.S. law for trademarks, service marks and trade dress; also covers related state and common law doctrines and relevant international agreements. Practicum - A practicum requirement affords students the opportunity for additional training in the workplace. Professor Stephen Urice, co-author of the art law casebook Law, Ethics and the Visual Arts (5th ed. 2007), is a global, legal authority in art and museum law. Professor Urice has served as counsel and acting director of the Frederick Weisman Art Foundation in Los Angeles and director of Philadelphia’s Rosenbach Museum & Library. He directed the national culture program at The Pew Charitable Trusts before returning full-time to teaching and writing. He serves as Academic Advisor to the Aspen Institute’s Artist-Endowed Foundations Initiative, presents papers to national and international audiences on art and cultural property law issues, and has served on the faculty of the annual ALI-CLE course of study Legal Issues in Museum Administration for more than 20 years. Professor Urice is President of the International Cultural Property Society, which publishes the International Journal of Cultural Property (Cambridge University Press).